OKLAHOMA CITY – The No. 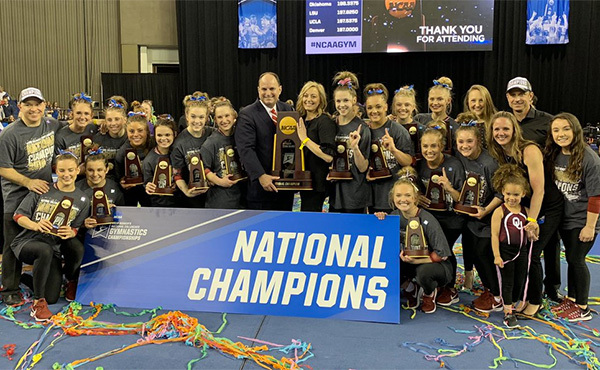 1 Oklahoma women’s gymnastics team topped No. 12 Nebraska 196.425-196.175 Friday night at the Perfect 10 Challenge at the Cox Convention Center. 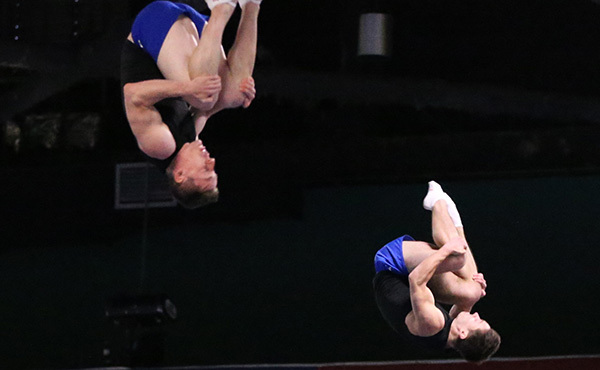 LOS ANGELES - Out-of-bounds deductions on floor exercise in the final rotation cost No. 2 UCLA in a 197.550-197.425 dual meet loss to No. 3 Utah. ST. CHARLES, Mo. – Junior Sarah Finnegan posted an outstanding all-around score of 39.775 for a career high to lead the fourth-ranked LSU gymnastics team to a season-high team score of 198.075 and win at the GymQuarter Invitational Friday evening at the St. Charles Family Arena. BATON ROUGE – In its second meet of the weekend, the fourth-ranked LSU gymnastics team posted a score of 198.175, the highest in the nation in 2018, to go back-to-back meets with a 198 or higher for the first time in school history Sunday afternoon at the Maravich Center. ATHENS, Ga. — Junior Sydney Snead scored a Perfect 10 on floor as the No. 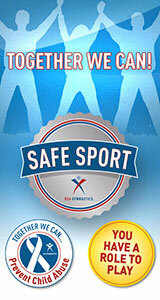 14 Georgia gymnastics team fell to No. 5 Florida, 196.950 to 196.125, in front of a sold-out crowd at Stegeman Coliseum on Friday night. RALEIGH – After three-straight away meets the NC State gymnastics team returned home in emphatic fashion as it posted a season-high score of 196.575 against #6 Michigan, UNC-Chapel Hill and Brown Saturday night inside Reynolds Coliseum. TUSCALOOSA, Ala. – The No. 7-ranked Alabama gymnastics team beat No. 9 Kentucky, 196.925-196.375, in Coleman Coliseum Friday night during the Crimson Tide's Alumni Night. PROVO, Utah – Shannon Hortman Evans earned BYU's highest individual and all-around scores of the season as the No. 19 Cougars beat No. 10 Denver and Southern Utah Friday night at the Smith Fieldhouse. CORVALLIS, Ore. – The Oregon State gymnastics team, ranked No. 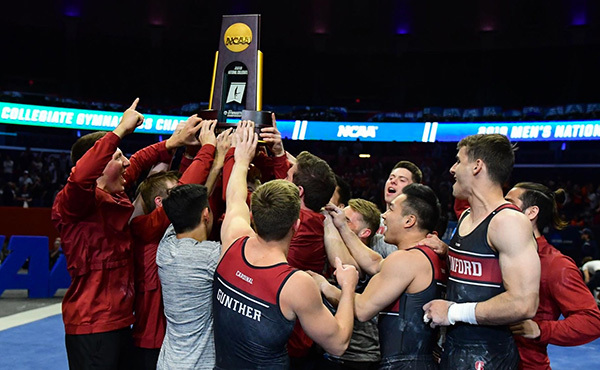 11 in the nation, registered its best score of the year topping the 197-point plateau for the first time in 2018 to defeat No. 24 Arizona 197.300-145.375 Saturday afternoon at Gill Coliseum. TEMPE, Ariz. – The No. 17 Arizona State women's gymnastics team (5-4) kept it close with No. 13 Washington, but fell short, 197.025-196.575, Saturday afternoon at Wells Fargo Arena. BOISE, Idaho – The No. 15 Broncos scored the highest team total of the season, 196.875 in en route to defeat Utah State on Friday evening at Taco Bell Arena. AUBURN, Ala. – The No. 16 Auburn gymnastics team clinched its sixth win of the season Friday night against Rutgers, topping the Scarlet Knights, 196.575.194.225, in Auburn Arena. ST. LOUIS, Mo. - Ivy Lu etched her name into the Minnesota history books as Gophers notched a 195.725 to win their session of the GymQuarters Invitational. 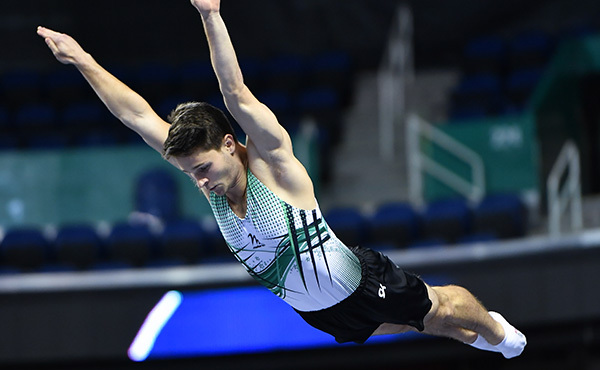 LAS VEGAS, Feb. 17, 2018 – Two-time Olympian Sam Mikulak of Newport Beach, Calif./U.S. 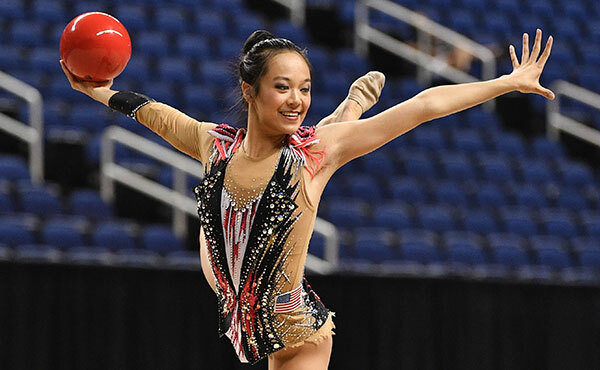 Olympic Training Center, and Asher Hong of Tomball, Texas/Cypress Academy, won the senior and junior all-around titles, respectively, after the second of two days of competition at the 2018 Winter Cup Challenge. HAMDEN, Connecticut - No. 4 ranked Quinnipiac Acrobatics & Tumbling team fell to the No. 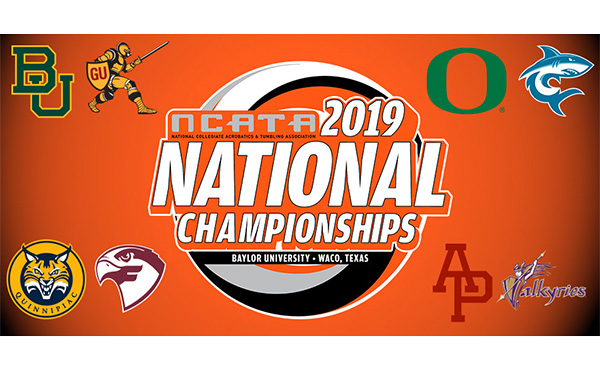 1 ranked Baylor Bears, 282.930-278.055, at the TD Bank Sports Center in Hamden, Connecticut on Sunday, February 18th 2018. MEQUON, Wis. – The Concordia University Wisconsin Acrobatics and Tumbling team ended a difficult ten-day, four-meet stretch with a home contest against Azusa Pacific Monday night. 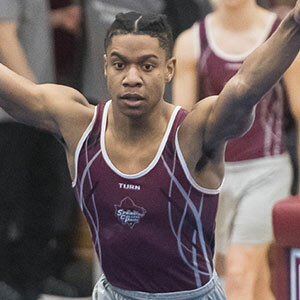 GEORGETOWN, Ky. - Georgetown College acrobatics and tumbling team opened its second varsity season with an exciting exhibition Friday. The Tigers hosted Glenville State and Converse College in front of an enthusiastic crowd. 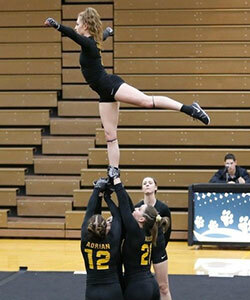 ADRIAN, MICH. - The Adrian College acrobatics and tumbling team started the 2018 campaign with a 218.830-140.400 victory at home over West Liberty on Saturday afternoon.